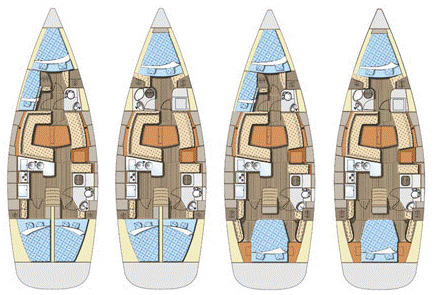 Designed by leading nautical designer Rob Humphreys, the Impression 434 represents the first of Elan Yacht’s new Cruising Range and a fantastic charter yacht. 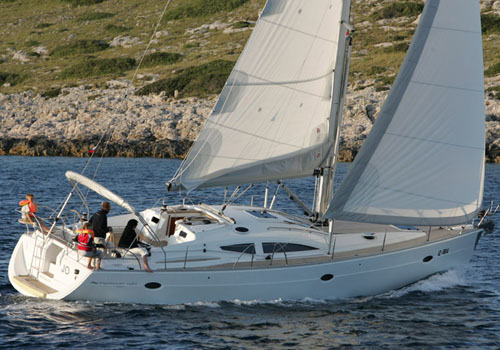 She is ideal for an Italy yacht charter and has been described as absolutely stunningly distinct in design and style. 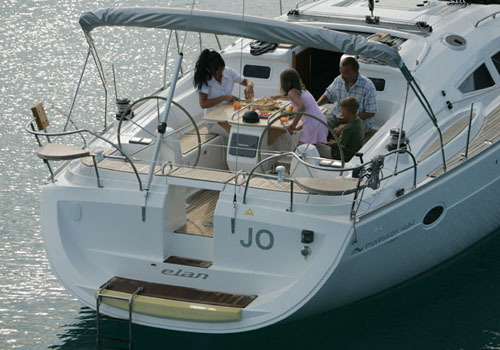 Destined to be the best in her class the Elan Impression 434 provides charterers a host of different features which are well appreciated by the a blue water cruising family, friends or a couple. 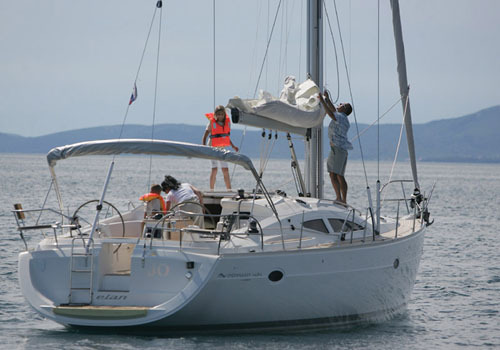 Impression 434 by Elan is a brand new cruiser without compromises. 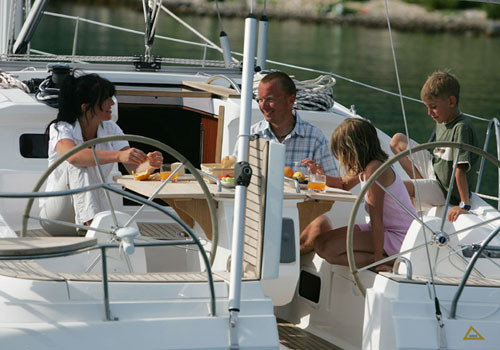 The charter yacht’s overall design is elegant and exciting in its entirety as it is in the smaller details. 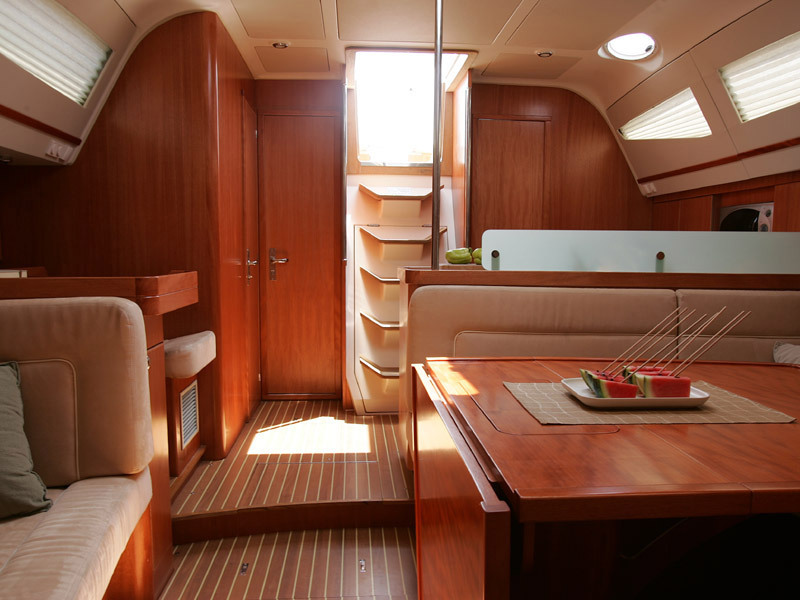 The new bareboat charter yacht, Elan 455 based in Tuscany can accommodate 8 guests in 4 private cabins. 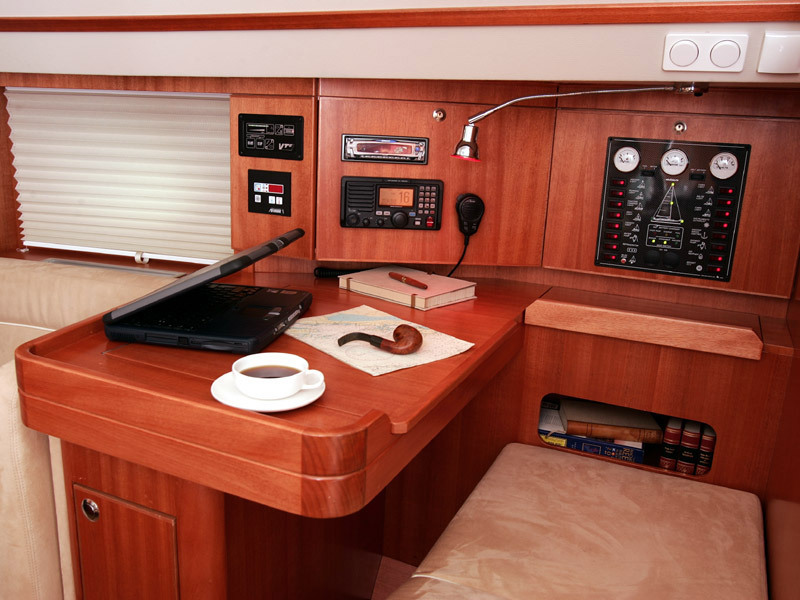 The master cabin is forward and is furnished with a large double berth and ensuite head and shower. 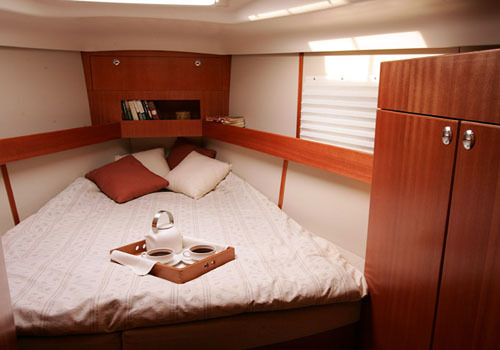 A twin bunk cabin is also forward. 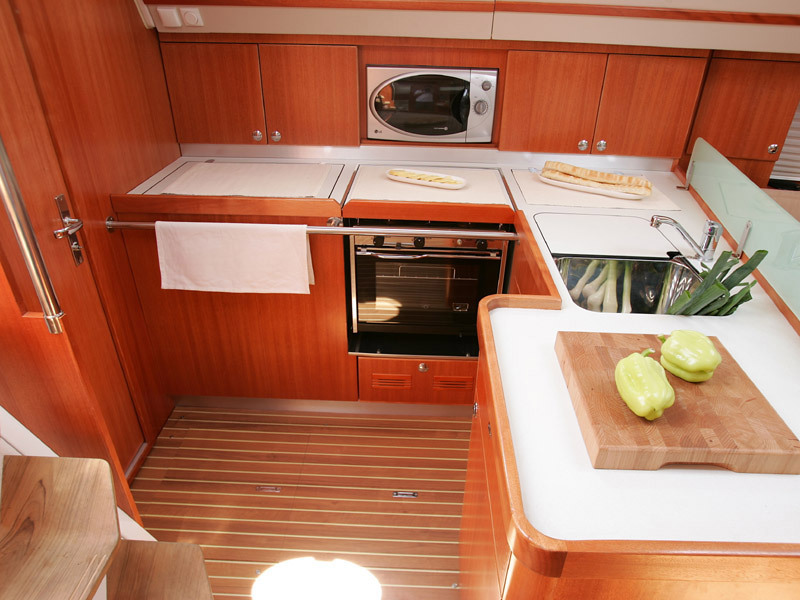 The aft is fitted with two further double cabins and an additional head with pressurized shower. 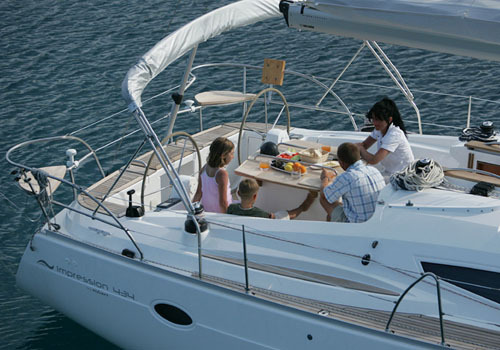 We do have available further amenity, owner and price information for the 13.400 m (43'4") yacht Elan Impression 434, so please enquire for more information.